Search Engine Optimization is changing all of the time. One minute you are told that you need to build links, the next that you have to invest in creating video content – and with all this SEO information we receive on a daily basis, it can be hard to know how to put your best foot forward. And to make matters even more confusing, there is a great deal of niche terminology that is used by digital marketers and SEO experts. In order to navigate your way around the world of SEO it is imperative that you know these terms. Anchor Text. This is the text that is used to link to another web page. 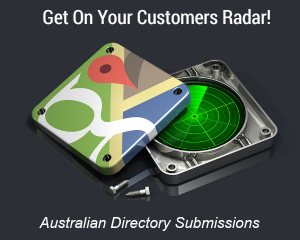 For example when we want to link to our SEO Roadmap, we don’t want to display the full url www.seocopilot.com.au/seo-roadmap/ but instead use anchor text to link to the SEO Roadmap that is integrated into the website copy. This lets your readers know where you are taking them when a url is obscure, avoids breaking the flow of text, and it also lets Google know what the page is about. Heading Tags. When writing for the web, it is common practice to break the text into small paragraphs, each with its own subheadings. These headings can be allocated heading tags according to their level of importance (H1, H2, H3 etc…). Placing keywords within heading tags emphasises their importance to Google. Backlinks. 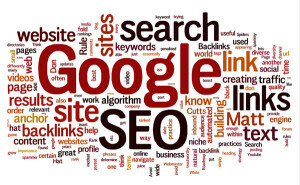 Backlinks or inbound links are links that connect one website to another. Gaining high authority inbound links to your site can be beneficial for SEO as this demonstrated to your Google that your site is trustworthy and useful enough for other sites to link to it. Keyword. Keywords are the words or phrases that users enter into Google or other search engines. As a result, the keywords that are used by your niche audience should be used in the web content you produce (but always in a natural way). Meta-description. This is a short paragraph of text (usually just a couple of sentences long) that describes your web page. It is the meta-descriptions that are often used in Google search results to let readers know about the pages Google is linking to. Page Rank. When you search for something in Google, the results are not random. Google uses complex algorithms to determine which pages provide the most value and the pages with the highest value are ranked at the top. Google’s method of ranking websites is called Page Rank. Spiders. When you hear the word “spider” in the world of SEO, there is no association with creepy crawlies. Spiders are simply computer programs that scan, or crawl the internet for data. Black Hat SEO. The practice of black hat SEO is generally considered to be an unethical method of trying to game google’s search results. This could include automated forum posting or automated blog commenting in order to generate a large volume of backlinks. With every update, google continues to get smarter, and those who practice black hat SEO run a great risk of being discovered and penalized. White Hat SEO. White Hat SEO is the ethical implementation of SEO practices. 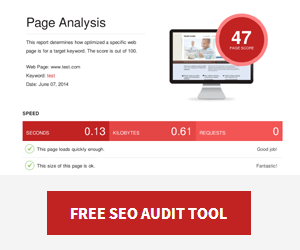 All white hat SEO has to come from real humans – it is not automated. This means gaining backlinks from activities such as guest posting rather than automated forum spamming. Search algorithm. A search algorithm is a set of processes and formulae that a search engine uses in order to determine which results appear following a certain keyword search. Google’s Panda, Penguin, and Hummingbird updates are essentially updates of the search engine’s search algorithm. Above/Below The Fold. Very simply, anything above the fold is what you can see when you first land on a web page. Anything below the fold, you have to scroll down to be able to see. For SEO purposes, you might discuss placing a call to action or a social media sharing button above the fold in order to increase conversions. Understanding these basic SEO terms will help your own SEO efforts or the work of your SEO company. It will also help you avoid hiring a black hat SEO! Nice succinct and informative list of search engine optimisation terms! I’m sure people will get good use out of this.